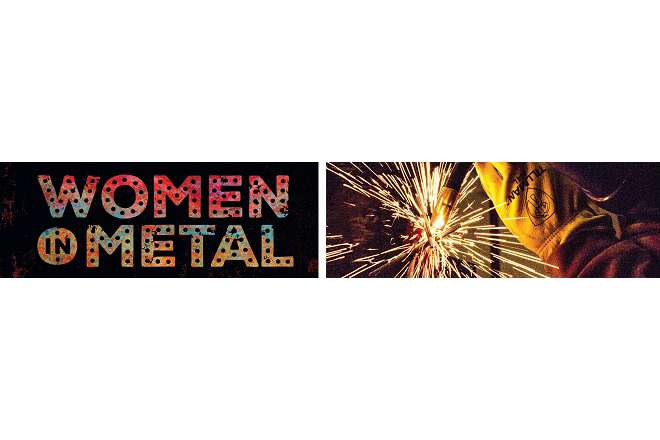 SEATTLE, WASH- Women in Metal: Foundry, Forging and Fabrication kicked off during Women’s History Month, this March 2015, in celebration of local female artists who are successfully navigating a traditionally male-dominated artistic discipline. The intention is to not only celebrate artists currently working professionally in metal, but to also create exciting and inviting opportunities for women to experience working in metal for the first time, or to deepen their ongoing artistic practice. Moderated by Jennifer Navva Milliken, Curator of Craft at Bellevue Arts Museum, audience members will have the opportunity to listen and ask questions about their artistic journey and how they are paving the way for the next generation of female metal artists. The panelists include artists creating large-scale public and private commissions, unique gallery work, and decorative metalwork. In addition to Women in Metal: A Conversation, Pratt is offering twelve metals classes this March through May, taught exclusively by female instructors including two “Ladies Forging & Welding Nights.” By offering classes taught by professional female instructors, Pratt aims to create an environment where women feel free to create and explore in the realms of the foundry work, forging and metal fabrication. Pratt Fine Arts Center makes art accessible to everyone, offering a place for spirited exchange, self-expression and personal transformation through creativity. Pratt is dedicated to fostering artistic development and engagement. A unique multidisciplinary visual arts resource, Pratt provides education and instruction, community programs and professionally equipped art making facilities. Pratt is the only facility in the Northwest where absolute beginners and established professional artists work side-by-side creating art in glass, sculpture, jewelry & metalsmithing, painting, drawing and printmaking. Pratt is The Place to Make Art.